Fresh options for spring dresses including minis, midis, and maxis in solid hues to full-on tropical prints. 1. A floral looker with pockets (pockets!) to hold snacks and other daily essentials. According to reviews, it's a go-to for baby showers with plenty of room to still feel comfy, even if you're ready to POP. Get it from Amazon for $27.99 (nine colors, sizes S–2XL). Get it from Boohoo for $38 (sizes 2,4, 8–12). 3. A contrast-piping midi with a timeless pattern that'll always manage to feel ~fresh~. Get it from Eloquii for $134.90 (sizes 14–24, 28). 4. A flowy halter in a boho print — it might just become your brunch go-to this season. Get it from Amazon for $7.99+ (eight colors, sizes S–2XL). 5. A wrap option that'll make you look like the definition of a spring afternoon. Get it from Nordstrom for $55 (sizes 2XS–2XL). 6. A tiered confection with plenty of room for air flow so you'll look like you're not sweating it when your skin feels like a faucet. Get it from H&M for $34.99 (two colors, sizes 2–16). 7. A flouncy number with pom-pom trim and lots of attitude in case you need to turn a cold shoulder. Get it from Walmart for $11 (three colors, sizes M–2XL). 8. A sweet treat that'll bring a smile to your face without worrying about the impending sugar crash. 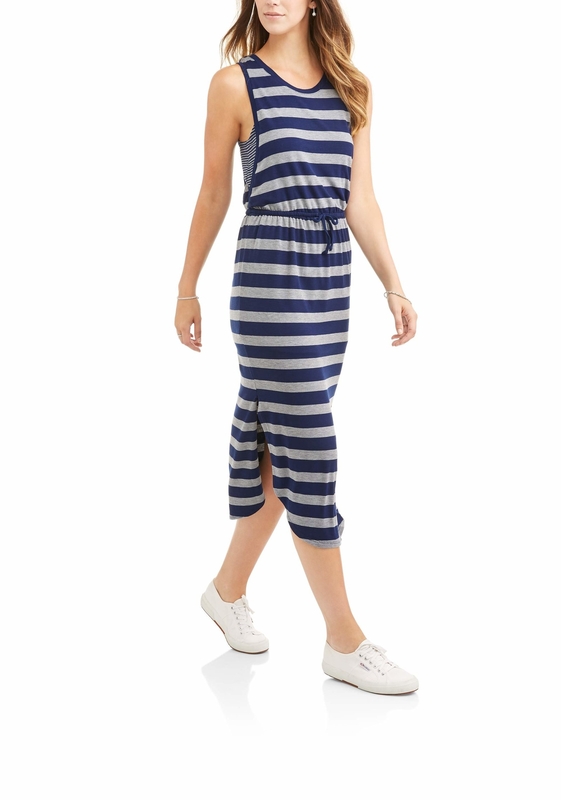 Get it from ModCloth for $79 (sizes XS–4X). 9. A gingham dream loose enough to lounge in while picnicking in the park. 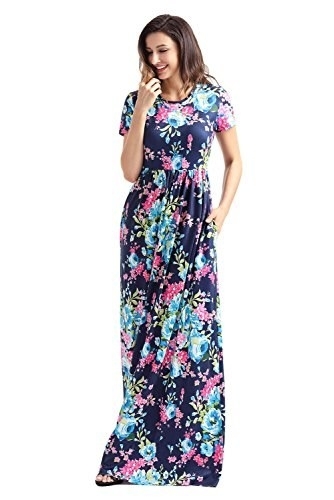 Get it from Walmart for $27.39, Sears for $27.39+, or Jet for $31.44 (sizes XS–XL). 10. 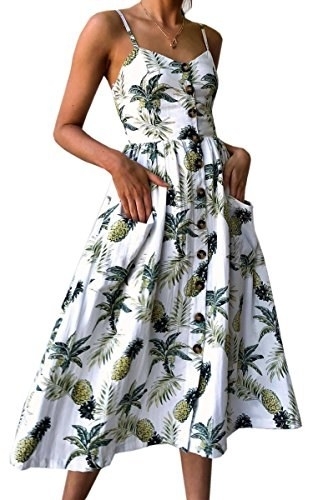 A leafy print you'll plan a luau around just to model it for your loved ones. Get it from Mango for $39.99 (sizes 2–8). 11. A future go-to in ruffles, denim, and a shape with room for shimmying under the moonlight. Get it from ASOS for $48 (sizes 0–10, 12–18). 12. A faux-leather stunner ~bound~ to make you dance floor royalty. Get it from Nasty Gal for $42 (sizes 2–8). 13. 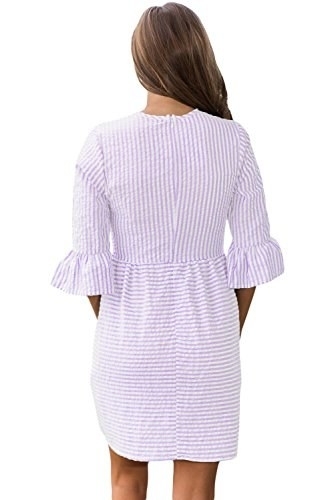 An off-the-shoulder frock with bell sleeves that'll really help drive home your point if you talk with your hands (like me!). Get it from Torrid for $44.90 (sizes 00–6). 14. A two-fer to take the math out of layering a slip dress to perfection. Psst. This is part of the Adam Levine for Kmart line that's really, really good. 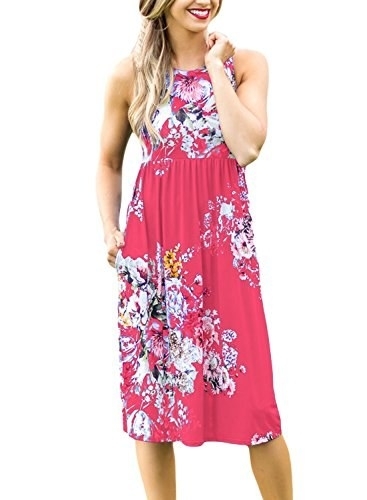 Get it from Kmart for $17.24 (sizes XS–XL). 15. A tie-sleeve skater for looking all kinds of coy and low-key glam. 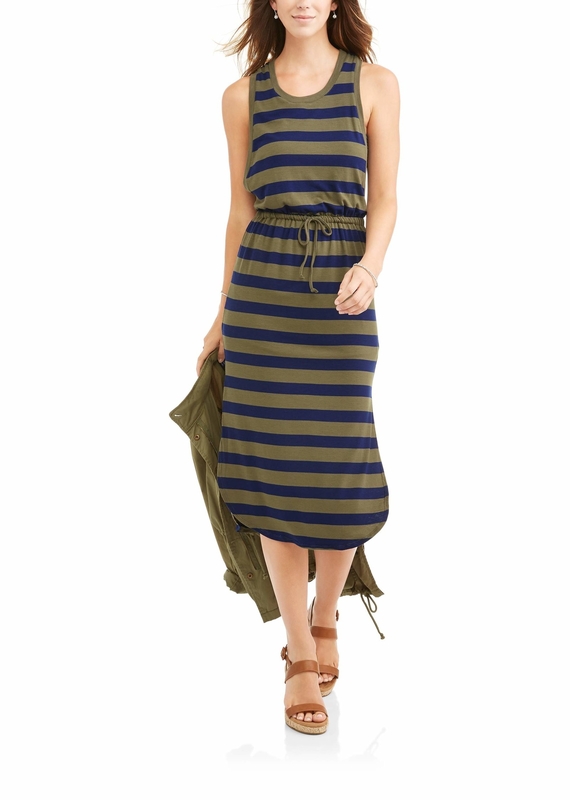 Get it from Abercrombie & Fitch for $24 (six colors, sizes 2XS–XL in petite, regular, and tall). 16. A chiffon mini with dramatic sleeves and a back cutout to facilitate better summer ~air flow~. Get it from Amazon for $21.99 (four colors, sizes S–L). 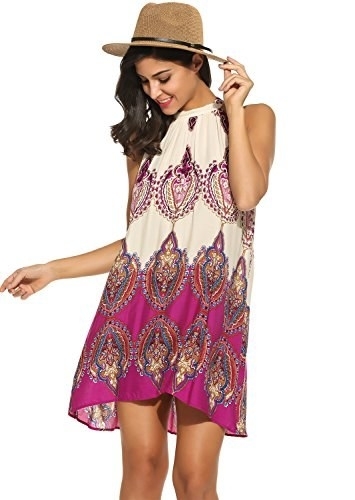 Get it from American Eagle for $33.71 (two colors, sizes 2XS–XL). 18. An eyelet combo as an excellent option for that white party you're slated to attend Memorial Day weekend. Get it from Target for $34.99+ (sizes XS–2XL, plus sizes X–4X). 19. A low-key blush of spring in the form of a comfy T-shirt dress you'll find all kinds of excuses to wear. Get it from Nordstrom for $45 (two colors, sizes XS–2XL). 20. A shirt-skirt combo to keep it chill without worrying about choosing a shirt that'll tuck nicely into a skirt. Get it from ModCloth for $65 (three patterns, sizes XS–4X). 21. A Lilo dupe for when you wanna cosplay Lilo & Stitch with your shorter BFF. Or maybe just look v tropical. Get it from Hot Topic for $30+ (sizes XS–3XL, plus sizes 0–5). 22. An off-the-shoulder gem that'll help you recreate this exact pose when someone says something unbelievably dumb. Get it from Pacsun for $19 (sizes XS–L). 23. A seersucker gem for making all dang season feel like it's the Kentucky Derby. Mint Julep (sadly) not included. Get it from Amazon for $18.99+ (five colors, sizes S–XL). 24. A Barbie sundress worthy of planning a dedicated photoshoot with you and your fav doll. Get it from Unique Vintage for $188 (sizes XS–XL, 2X–4X). 25. A cold-shoulder maxi that'll make the dramatic entrance for you. Get it from Abercrombie & Fitch for $39 (two colors, sizes 2XS–XL in petite, regular, and tall). 26. A citrus spin that's all sweet, no sour. Get it from Topshop for $68 (sizes 0–12). 27. A lace-up shirt the perfect length to graze your over-the-knee boots when it's still too cold to wear sandals. Get it from Missguided for $31 (sizes 12–20). 28. A work of art that'll cost way less than the runway looks you have pinned to that private Pinterest board. Get it from Bloomingdale's for $148 (sizes XS–L). 29. A racerback midi with pockets and lots of wiggle room for all kinds of social activities. Get it from Amazon for $21.99 (six colors, sizes S–XL). 30. 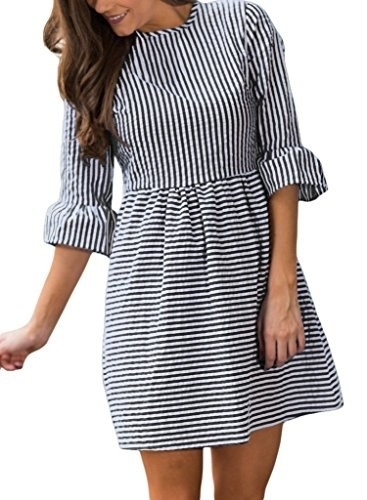 A striped beaut that'll go nicely with any warm-weather Insta settings you have in mind. Get it from Reformation for $218 (three color combos, sizes 0–22). P.S. Reformation now carries sizes up to 22 in several styles of clothing. Yayyy! 31. A printed maxi worthy of your frills and thrills. Get it from Nasty Gal for $60 (sizes 2–8). 32. A breezy midi that screams $200, but you can take away a zero. 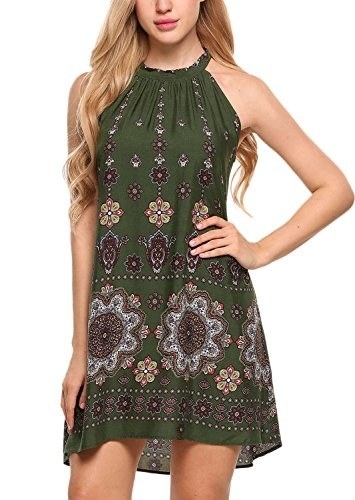 Get it from Amazon for $20.99+ (nine colors, sizes S-XL). Get it from Eloquii for $129.90 (sizes 14–28). 34. A strappy shift so you'll have something to wear when you want NOTHING grazing your shoulders. Get it from Missguided for $17 (four colors, sizes 0–12). 35. A romantic slip as a layering standout to romanticize anything you wear it to, even the DMV! FYI, this is lined only at the bust. 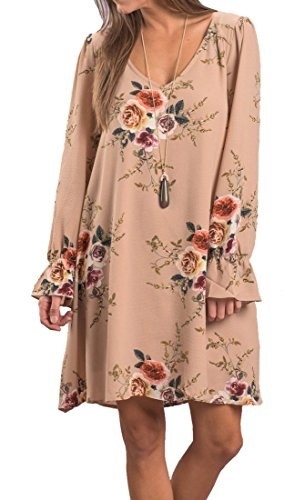 Get it from Free People for $39.95 (two colors, sizes XS–L). 36. A flouncy floral that'll be a total winner for people who hate flouncy florals! Get it from H&M for $24.99 (three patterns, sizes 2–20). 37. A twirl-ready frock with the potential for making a dramatic exit. Or the perfect Instagram! Get it from Jet for $99 or ModCloth for $99 (sizes 2XS–4XL). 38. A striped pick you can wear a million different ways this year. Get it from Walmart for $14.38 (two colors, sizes S–XL). 39. A tube top to wear as a mini dress on days when you want the least amount of fabric touching your skin. 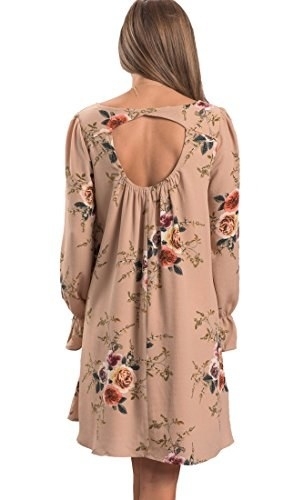 Get it from Free People for $29.95 (two colors, sizes XS–L). 40. A swing mini built for summer fun in the sun. Or just for looking really amazing indoors. Get it from Amazon for $3.99+ (sizes S-XL). 41. 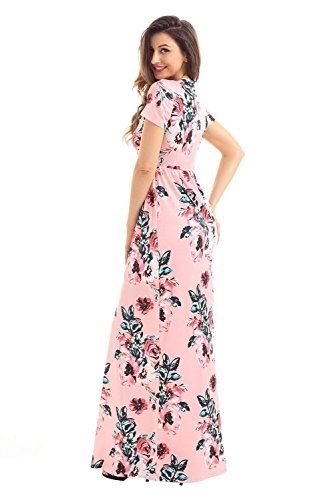 A tropical maxi you could totally fake a beach vacation on social media while wearing if you just put your heart and budget-conscious soul into it. Get it from MooseJaw for $44.99, (sizes S-L), Jet for $60 (sizes XS-XL), or Zappos for $60 (XS-M, XL). 42. A Bardot option you've probably already spotted in the gazillion stories on the internet about how to dress like a French girl this spring. Get it from Missguided for $43 (four colors, sizes 0–12). 43. A belted black option in case you *only* wear black but want to switch it up a bit. Get it from Target for $34.99 (two patterns, sizes XS–2XL). After all, you can't get your twirl on like this in just a pair of pants.